Toronto is a very walk-able city and staying the Downtown area means that you have everything on your doorstep. 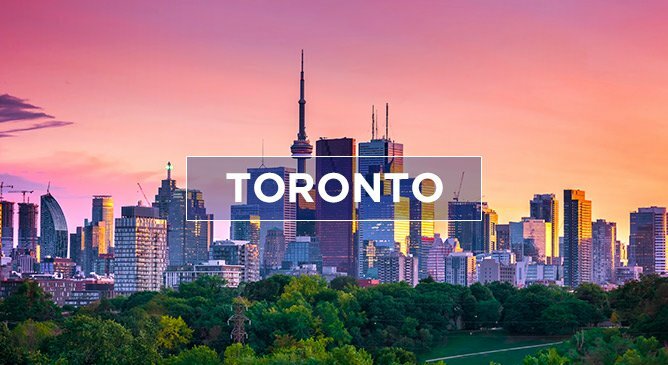 From budget friendly hotels to opulent luxurious hotels, Toronto has something to suit everyone’s taste and budget. 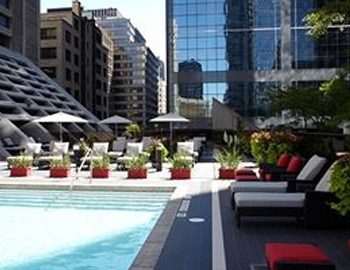 Many of the hotels in Toronto also feature swimming pools which is unusual in such a large city. So after a busy day exploring this wonderful city, you can head back to your hotel, have a dip and a bite to eat and unwind in comfortable surroundings. 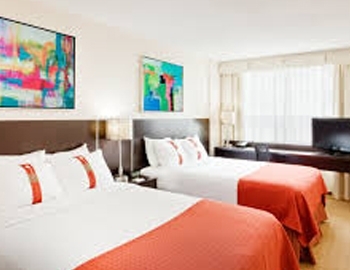 The Holiday Inn Toronto Downtown Centre is a great hotel located just five minutes from the Eaton Centre. It is also a short walk from the CN Tower and many of Toronto’s other attractions. Rooms feature a king bed or two double beds, an in room safe, mini-fridge, air conditioning, in-room movies (charge), cordless phone, in-room video check-out, free internet access, clock radio, coffee / tea maker, hair-dryer, bath and body works amenities and a 32” TV. The hotel also has a restaurant, bar, indoor pool, fitness centre, spa, crib (on request), connecting rooms, work desks with lamp, PC’s, printer, spare electrical outlet at desk, private limousine, dry cleaning pick-up and laundry, porter/bellman, turn-down service, gift shop and parking (fee). The Chelsea Hotel is not only Toronto’s largest hotel, it’s Canada’s largest hotel and it features 1590 guest-rooms. The Chelsea Hotel is centrally located and it is just steps from Toronto’s best shopping, theatres, night-life and attractions. The hotel features 4 restaurants and lounges and it has undergone a massive renovation. Each room features an LCD TV with movies, kettles with complimentary tea and coffee, free wifi and balconies in certain room types. Also on-site are two indoor pools, water slide, hot tub, fitness centre, sauna and sun deck. The Hilton Toronto is a modern hotel in the heart of Downtown Toronto. 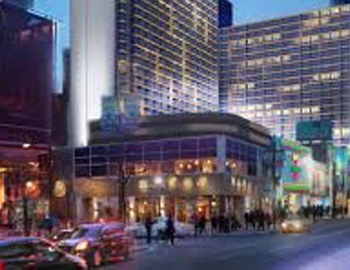 This hotel is in walking distance to Toronto’s entertainment, shopping and many unique districts. Guest-rooms feature a Hilton alarm clock radio with MP3 connection, large working desk, two-line phones with voice mail, coffee / tea maker, iron / ironing board, in-room safe and hair-dryer. High-speed internet access is also available and each guest-room also features items from the Hilton Serenity Collection and the Serenity Bath which features Hilton exclusive bath amenities. On-site you can expect a personalized experience while you enjoy the hotels restaurants, lounges and heated indoor and outdoor pools. 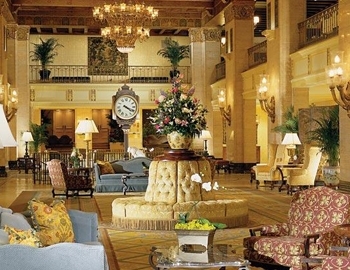 The beautiful Fairmont Royal York is a historic and elegant hotel located in Downtown Toronto. This magnificent hotel is just steps away from Union Station, the CN Tower, the Rogers Centre and more wonderful Toronto attractions. Staying at the Fairmont Royal York will be a memorable experience and it’s opulent surroundings will truly wow you. On-site you will be spoilt for choice with 5 restaurants, a bar, spa, indoor lap pool, whirlpool, children’s wading pool, saunas, steam rooms, change rooms, complimentary towels and locker facilities provided.